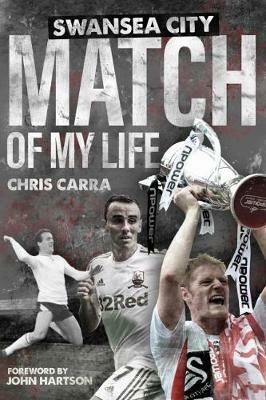 The lack of Swans action over the recent International break gave me some time to cast my eye over a new Swansea City book by Chris Carra, called ‘Swansea City Match of My Life’. It is Carra’s third Swansea City book, having previously written, ‘Swansea City: Greatest Games‘ and the ‘Swansea City Miscellany‘. The book covers sixteen Swansea City legends, from the 1950s to the present day, with each player giving an insight into their favourite game playing for the Swans – along with a few additional anecdotes about other players and managers. The foreword from Wales’ football legend John Hartson outlines his passion for the Swans from an early age, not to mention how close he came to signing for his beloved childhood club during the Roberto Martinez era. Fans will enjoy seeing some historic images, not to mention reading some interesting stories, from Swans legends such as Mel Nurse, Vic Gomersall, David Gwyther, John Toshack, Alan Curtis, Leighton James, Wyndham Evans, John Cornforth, Michael Howard, Roger Freestone, Matthew Bound, James Thomas, Lee Trundle, Alan Tate, Nathan Dyer and Leon Britton. One of the things I enjoyed most when reading the book, was the fact that despite some of the players being at the club well before my time (I was born in the 70s), I found their stories insightful and gave me a picture of what it was like to wear the Swans shirt back in the day. Reading about Mel Nurse telling the bus driver to leave Mel Charles on the bus stop, thus making him walk from Gendros to the Vetch Field for a game, made me laugh – can you imagine that happening nowadays! Despite being a young lad when John Toshack played and became Swans manager, I was also interested in what he did as a player and had to say, especially as Tosh was never one to mince his words. In fact, in his story, he makes no secret of the fact that he felt he was using a back five system at the Swans almost 40 years ago, despite claims that it was introduced in more modern times. Few could argue the point when you consider he used the system at Real Madrid back when they won La Liga in 1990, whilst scoring a record 107 goals in doing so. 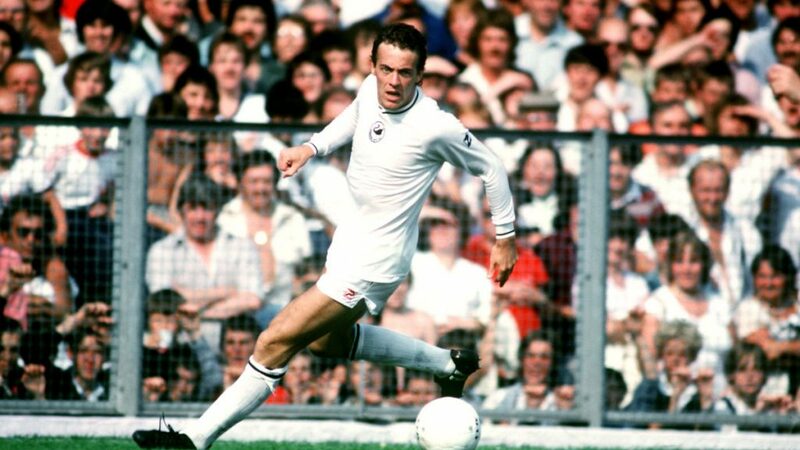 The scorer of one of my all-time favourite Swans goals – THAT Alan Curtis goal against Leeds United – shares an interesting insight into that historic 5-1 win in the Swans first ever league game in the First Division. Few people probably know that the Swans actually stayed in Porthcawl the night before the game and then got caught in the traffic gridlock on Fabian Way on the way to the Vetch. Nothing unusual about that perhaps, except that the team bus was surrounded by Leeds United fans heading to the game. This provided extra motivation for some perhaps, but not for Curt, who was playing against his former team mates. It is the little extra snippets and behind the scenes stuff in each Legends story that makes the book such an interesting read. 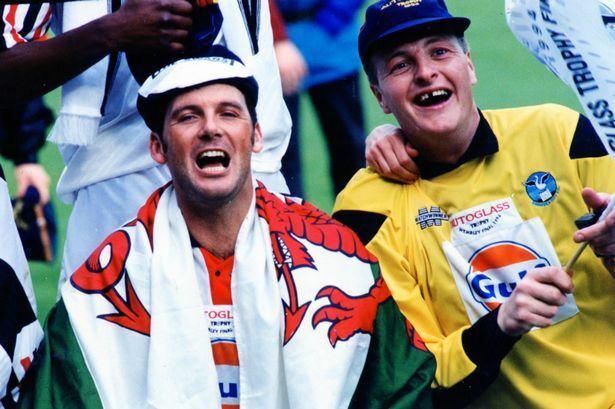 Leighton James is one former player who is not afraid to speak his mind and he had plenty to say about Tosh wearing a Liverpool shirt when the Swans were playing at Anfield, in the aftermath of Bill Shankly’s passing. I won’t spoil the book for those intending to read it by going into every detail about some of the legends more interesting stories, but if learning about how club captain John Cornforth left Membury services in only his underpants or how the Swans players of the late 1990s celebrated derby day wins, then this is one 192 page book you’ll enjoy reading. Former defender Matthew Bound makes some interesting comments about the club’s Company Voluntary Arrangement (CVA) in 2001 in his story and in particular Huw Jenkins, during what was arguably the club’s darkest hour. Of course, no Swansea City book would be complete without mentioning modern day legends such as Lee Trundle, Alan Tate and my favourite Swans player of all time, Leon Britton. Each has their own story to tell, from winning the football league trophy in Cardiff and being arrested to the biggest game of them all – the Championship Play-Off final in 2011. This is the sort of trip down memory lane that makes the book ideal for Swansea fans of all ages, as the players stories cover over 60 years of the Swans. It would also make an ideal birthday or Christmas present for the Swans fan in your life. For those interested in getting the book, it is available to buy in the Waterstones branch in Swansea and also online at Amazon . You can also get a signed copy from the author himself, at the Liberty Stadium Club Shop between 1pm and 2pm, ahead of the Swans Championship clash with Nottingham Forest on Saturday.